The LifeLocator TRx locates live victims trapped at a disaster site for urban search and rescue. 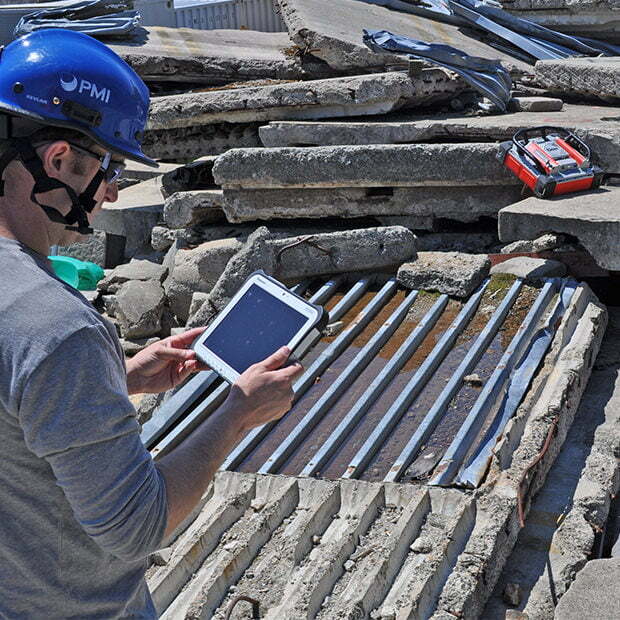 It uses ultra-wideband (UWB) technology to detect signs of life when disasters like earthquakes, floods, explosions or similar occurrences result in victims trapped under debris piles. The LifeLocator TRx is the newest generation LifeLocator system and employs new, dual receiver technology to increase survey effectiveness and accuracy. The LifeLocator TRx is a reliable non-human, non-canine USAR technology that enhances search capabilities. Highly sensitive- it can detect slight motion and shallow breathing, within seconds. GSSI’s fourth-generation system uses ultra-wideband (UWB) radar technology with dual sensors to improve the odds of recovering living victims of earthquakes, building collapses, flash floods, avalanches and other man-made disasters. 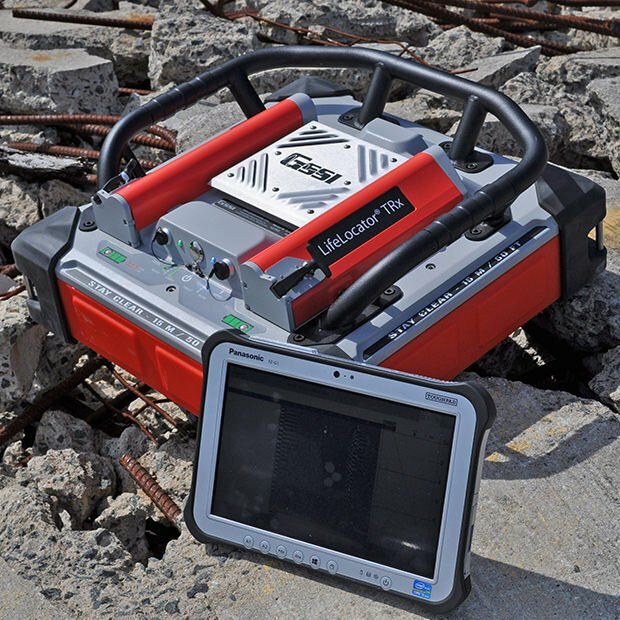 This wireless and portable system allows for ease of mobility over a site. The non-invasive technology requires no probes or cables. 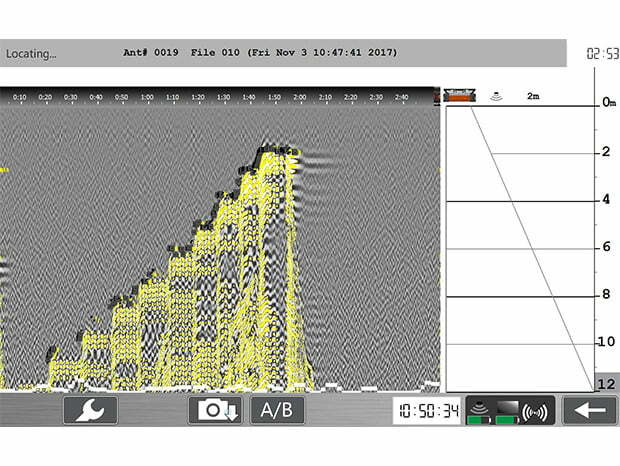 LifeLocator TRx screen example showing a breathing victim at 7 m in depth and breathing at a high rate. 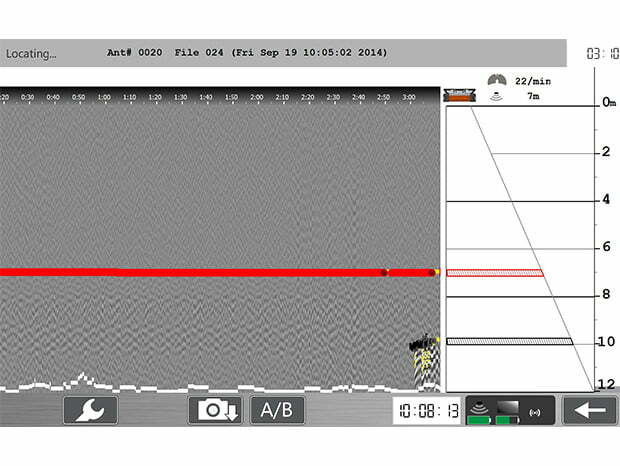 The red line on the left screen panel indicates position of victim and the right screen panel shows breathing rate and depth of detection. The white line at the bottom of the data indicates presence of radio interference located at the site. 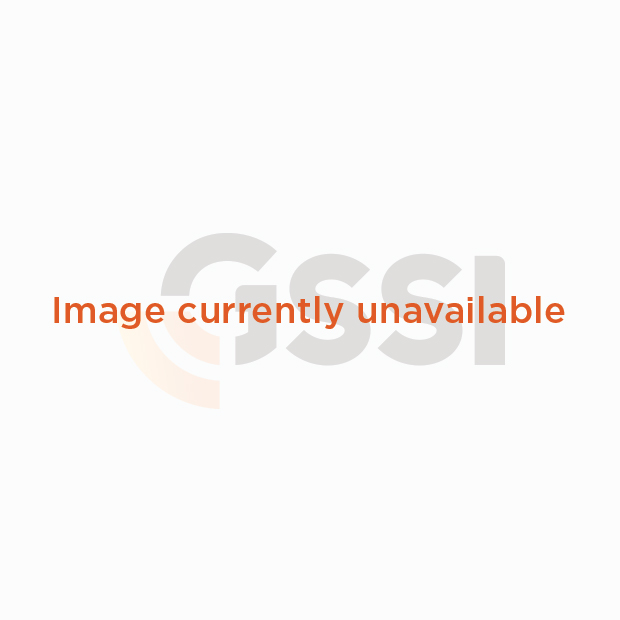 LifeLocator TRx screen example showing moving person (leg motion) at varying distances away from the sensor. Starting at 11 m moving in 1 m increments until 2 m away from the sensor. The white line at the bottom of the data indicates presence of radio interference located at the site. 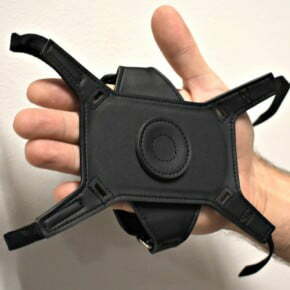 This is an accessory to the LifeLocator TRx system. This strap is an external handle for the Panasonic M1 controller, and includes a rotating feature and stylus holder for increased survey efficiency. The sunshade for the LifeLocator allows users to view the screen in high ambient light conditions. The sunshade features a special slot for finger access for the touchscreen display.